Winner in the category of Young Emerging Designer at the Wade Awards which recognizes talent from all over Asia and is the largest women led awards platform. Featured as one of the top 100 designers in India in the iDecoramas annual listing of top architects and interior designers. 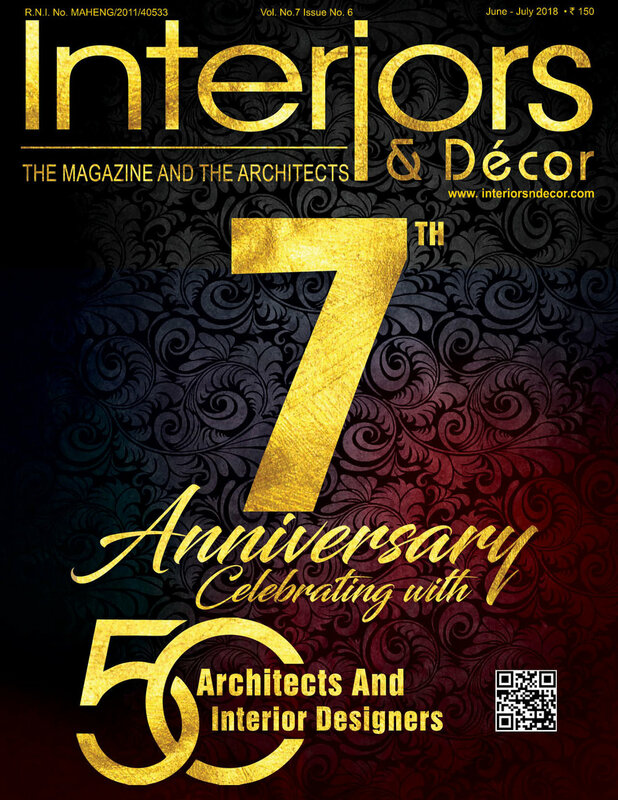 Listed as one of India’s top 50 interior designers and architects in the annual listing by Interiors and Decor Magazine. 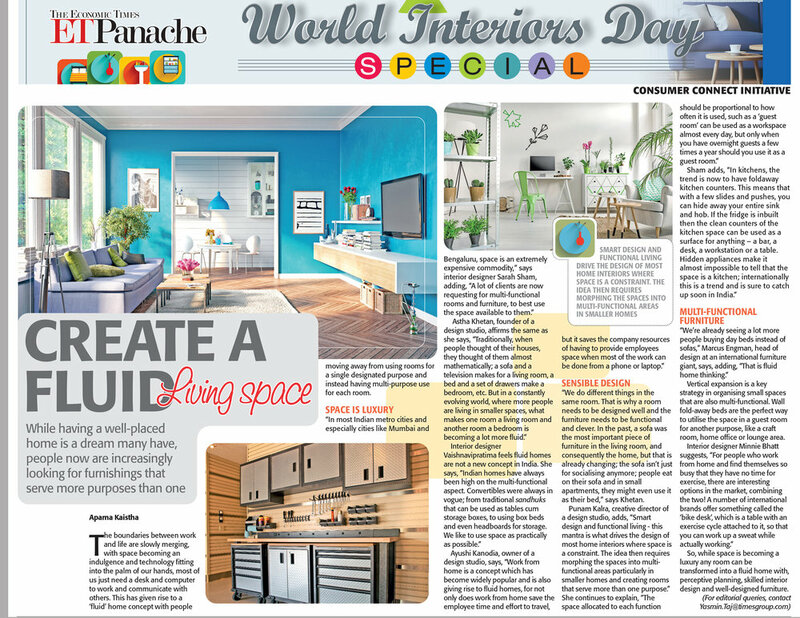 We were featured in an atricle in Hindustan Times which spoke about the relevance and use of the cactus in interior design. We featured on a 30 minute segment on home designing and showcased our projects, as well as gave some tips and tricks on designing. 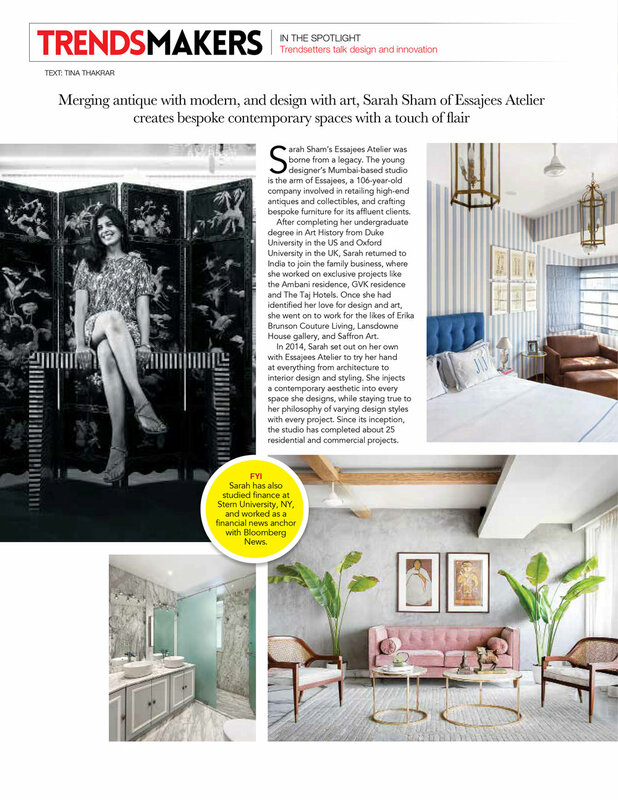 Was featured in Elle Decor for our residential project in Churchgate, Mumbai. This was an eight page spread. Our restaurant project made the cover of CW interiors magazines cover. 266 The Wine Room and Bar is located in Bandra, Mumbai and the project feature made the cover. 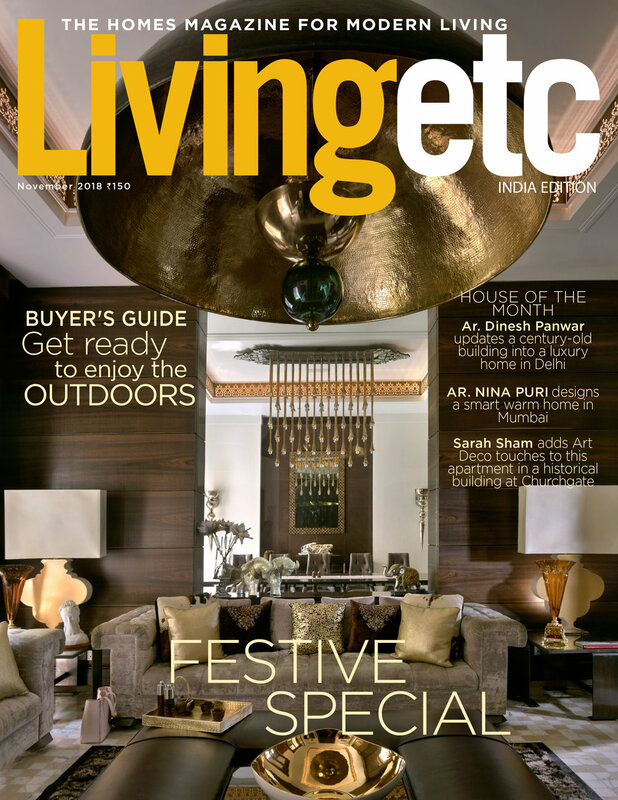 A 12 page spread in Living ETC for their festive special on our churchgate art deco residential project. Our restaurant project 266 The Wine Room got featured in Tiles of India Magazine in a 4 page spread. Our concept for 266 The Wine Room got written about in Architecture update magazine. We spoke about the concept of the restaurant in this. Write up on creating fluid spaces which seamlessly go from one use to another function and are meant for modern homes. A project we completed was featured in the December 2018 edition in a 6 page spread. This was for our tropical modern apartment. We wrote a six page article on our travels to Japan and Tokyo which was featured in Trends magazine September 2018. Featured in Trends Magazine for being among one of the designers who were ahead of the trends and making waves in the world of interiors. Designer Speak: Experienced and well- known interior designer, Sarah Sham from Essajees Atelier, shares her experience on how she discovered Bharat Floorings. Our restaurant project 266 The Wine Room was written about in Little Black Book Mumbai as one of the new upcoming places to eat at. Our project for a Parla Penthouse was featured in iDecorama and written about in a 6 page spread. This project was completed in 2016. We were listed as one of the Women Art Entrepreneurs that had made a mark in the industry and through the world of arts made an impact.